I am trying to decide between the mini torii, SE84ZS, and the SE34I.3. I am really quite intrigued by the tube regulation/filter on the Mini Torii. That said, it is a pentode design vs triode which has me unsure. The reason is the note Steve makes on the product history of the SE84ZS, he removed the pentode option because it didn't sound as good and nobody used it. A secondary question is, is there an sonic benefit of the SE34I.3 over the SE84ZS or SE84CKC? Has anyone listened to all three of these? Could you describe the rest of your system so members here could better advise you? I will initially be powering a pair of B&W 601 S3 speakers. I am planning on building my own speakers using the DFR8 drivers. That said, I will be streaming most of my media through Airplay -> DAC -> Decware Amp. I also noticed the SE84ZSM which has the voltage regulation using an OA3 tube. If only the SE84ZS had voltage regulation to clean the power my decision would be made. Then I would have enough money to get a ZSTAGE and/or CSP2+. If the B&W's are 84db rated these amps would not give you a lot of volume. You will hear the characteristics from the amp though and the sound might surprise you. However the DFR8 driver is rated at 6.69 ohms (8 ohms nominal), which seems to lend itself better to the SE34I.3, which you will get full power from with an 8 ohm load. This amp has the same kind of insane holographic imaging that the SE84 series has. The high sensitivity of this driver means that you could use one of the 2 watters with good results. The MINI TORII would do real well also because it likes an 8 ohm impedance load. I strongly suggest that you speak with Steve Deckert to see what he recommends. Mine prefers a 4 ohm speaker impedance. Maybe different transformers? "The reason is the note Steve makes on the product history of the SE84ZS, he removed the pentode option because it didn't sound as good and nobody used it." "There were 50 or so of these models built and close customer feedback was maintained with almost all 50. We learned that customers preferred the sound of the Triode of Pentode in all but one case. That meant a switch designed to offer two different sounds wasn't being used. It also meant that an amplifier designed to be both pentode or triode was not fully optimized for either." IME properly designed Pentode amps can sound excellent. I just checked the manual for my B&W's, are rated at 89dB. 8 Ohm nominal, 3 Ohm min. That said, does the OA3 voltage regulation in addition to the tube rectifier provide a huge benefit? Based on what I am reading, it provides a benefit in terms of lowering the noise floor. That said, it brings me to either the Mini Torii or the SE84ZSM. I like the form factor of those two over the SE34I.3. I am not trying to push a lot of volume through my B&W's since I am planning on getting higher efficiency drivers in the near future. I wish there was an easy way to hear the Pentode and Triode options. Ideally if I could only spend ~$1000 that would make me happy. The DFR-8 drivers are 8 ohms as well, so planning on 8 ohm loads across the board. Looks like the Mini Torii or the SE34I.3 are my two choices if I plan on having an 8 ohm load. The SE84ZS is clearly optimized for the lowest impedance possible as you all stated. Am I going to be blown away by the Mini Torii compared to the SE34I.3? The Mini Torii has a smaller footprint, and it is dual mono. It has many tube choices to tailor your sound if you are into that. You cannot go wrong with either. I have both plus the super zen. I enjoy them all. I read through the entire Mini Torii page and it seems like the best fit for me. I have a feeling I might be back to listen to a Super Zen as well. I really wish that Steve made a Super Zen with a OA3 voltage regulator. I also like that the Mini Torii has enough gain so I do not need to add a ZSTAGE. I am quite excited! I see that the Mini Torii is not a zero feedback design. Should I be concerned about this when compared to the Super Zen? Also the Christmas Comes Early mod does not apply here, correct? Did you look at the Taboo? Welcome Ron! In your shoes I'd consider the Integrated heavily, I LOVED mine, I would have it still if I didn't need the power of the Torii Mk III. I think if you have clean power by other means the OA3 regulation circuit is less crucial. And the SET zero negative feedback goodness of the Integrated makes such wonderful sound. I like the ideal of the dual mono blocks of the Mini Torii. If there any benefit over the integrated SET? You are saying the zero feedback design is far better sonically then having a voltage regulation tube. It seems as though having the integrated over the Mini Torii could potentially require a pre-amp since it wants/needs 2.5 volt input. Too many awesome choices, that is the real problem. I'll preface my remarks by saying I haven't heard the Mini Torii, for one reason (probably the fact that I've never quite been impresed with that family of output tubes in instrument amplifiers) or another it's the one Decware amp I really haven't been that interested in. In my opinion the "dual mono design"possibly iisn't that big a deal sonically. To be honest I didn't hear better channel separation etc. in that aspect between the Integrated when I had it and the Torii Mk II (as "dual mono" as the Mini-Torii , both have just one power cord and one chassis so imo not really dual mono) to compare. I also didn't really feel that the regulation tube circuit had a great impact sonically on the sound of these amps IF one had clean power fed to the amps (I used isolation transformers, then PS Audio "Duets" and then PS Audio Power Plant Premier). I don't believe I've ever had a Decware amp with negative feedback, so I can't really compare it to one without (all the amps I've had from Decware had no global negative feedback as far as I know). I just have to say I loved the sound of the Integrated (I had the .2) DEEPLY and found that with the right speakers it came to life with a 2.0 volt source. As with all the Decware amps I've had, the CSP2 or CSP2+ certainly improved their sound, but that's the case with all the amps I've tried with those preamps. I DO love the sound of my two Toriis, but moved to them because I felt the speakers needed their power when I moved my system out to the living room/dining room area. But if I have the chance to I'll get an Integrated or (probably) Super Zen -- I just love that SET magic Decware sound. You listen to Uncle Lon. He knows more than most of us here. The 6V6 tube has been generally regarded by users of musical instrument amplifiers as a prominent midrange tube. However the MINI TORII circuit takes that tube and makes it perform a lot better than you would anticipate in a music amplifier circuit. That is why I like mine. The Zen Monoblocks are extremely revealing - of not only the source material, but the cables and other components in the chain. These amps do not color or mask the sound. They are intended for a purist who is pursuing a system with low impedance, high efficiency speakers, a really good source, and who will try different cables until the right one is found. I will say that I felt my MINI TORII has excellent stereo separation. But the reality is that the Decware stereo amps, whether dual mono or not, all excel in this area. I don't see how you would be disappointed with that integrated (SE34I.3) even with your present speakers. My gentle advice (unsolicited) is not to get all entranced by tube regulation and stereo separation; these are all just concepts. Speak to Mr. D. to find out which of his products would best fulfill your audio goals. Although I don't feel that I know more than others here, I otherwise agree whole-heartedly with Jim: a call to Steve is prudent before making any final decisions. And in a very real sense, other than speaker/room mismatch possible because of power output, it's very hard to go wrong. I had a similar predicament very early this year and just consulted with Steve. The Man knows exactly what may be best in your particular case. I ended up with a Mini-Torii and a pair of DM945 speakers that fit my bill quite well. The additional advantage of the M-T is it's powerful tube-rolling potential, a means that can really seem to change the amp's signature. So far I've just replaced rectifiers and I'm really happy with the change. I can't wait to roll some drivers too. Not necessary, but a wonderful fine-tunning option. If you really dig dynamics and pep, this little guy is Popeye on spinach. Wow, I just want to thank everyone for all the great insight! It is a tough call, I will ensure to talk with Mr. D this week at some point. That said, I want something that will provide accuracy but at the same time not be mechanically. I have a feeling like Lon said, it will be very hard to go wrong. Since I am not looking to listen at extremely loud volumes, I am looking between the Mini Torii or either the Super Zen or the Integrated. I think I can save some money and not get hung up on the dual mono blocks or potentially even the Mini Torii. Either way I have two or three great options. I will read over each page again and see if something pops out at me. I should said that I am not hugely into tube rolling at this point but the fact that the M-T tubes runs cool and will last a long time is appealing to me. I've not heard the Mini Torii. But I have owned both the Torii mk3 and the SE34I.3. 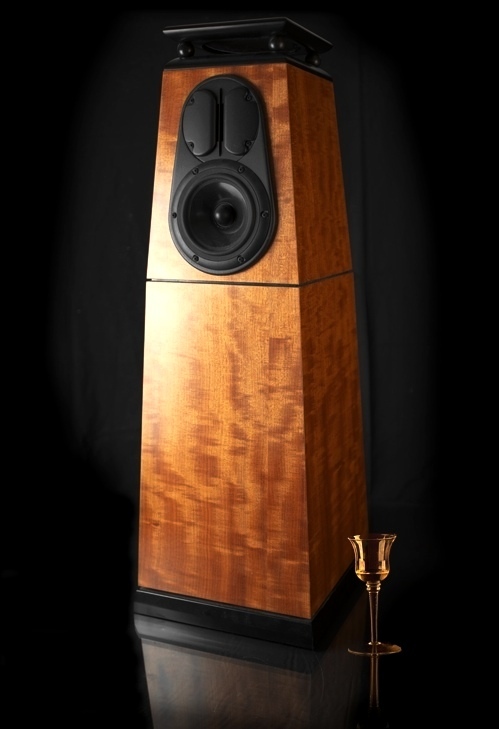 If you have the right speakers, I feel the SE34I.3 is more direct and really latches on to the rhythm of the music. Call it PRAT or whatever, it makes you feel it. The soundstage is an added bonus, but I have changed rooms as well, so not a fair comparison. Just my 2c. I have been reading and re-reading each page. I like that the Mini Torii runs cool, that said, I don't think that alone is worth the purchase. The Mini Torii might perform better with low input voltage. Not so much with the integrated. I sent Steve and email, going to see his opinion on the matter as well. Either way Integrated or Mini Torii, it will perform well with 8 ohm speakers. Can't go wrong. Thanks again, always happy to keep reading the feedback! The more I read the more I lean to the Mini Torii because it only needs a 1 volt source. I just don't want to be stuck in terms of growth in the future. It is better to call than email. To me that just means the Mini Torii is just set up to accomodate iPods. (I HATE IPODS). What DAC will you be using? Do you know the max volts out? I agree, iPods are the worst in terms of a source. All my files that I will be streaming are lossless imports from my CDs. That said, if I place a DAC on the other side of something like the ZSTAGE then it opens up my choice again. The 2v rating is the highest RMS output voltage possible. I don't know about streaming (is everything copied at the highest maximum level? or are there differing playback levels like CDs? ), but I have some CDs (2v out CD player) that would not drive an SE84B to full power without a preamp. "That said, if I place a DAC on the other side of something like the ZSTAGE then it opens up my choice again." Sometimes I hate having too much gain, but it is way better than not having enough. So a pre instead of a zstage. The airplay will stream and full resolution. The DAC should have a constant volt output. "So a pre instead of a zstage." The ZSTAGE is a single-ended triode stereo gain stage. It uses a single tube operating in class A with no negative feedback. It accepts any standard 2 volt line level source like a CD player or DAC and has a variable output via the front mounted gain control. It can also be used as a purist tube preamp where multiple inputs are not needed. Sorry, I didn't detail the logic in my head. If I was going to spend 600 on the ZSTAGE, then getting the additional features of a CSP2+ seems more intelligent to me. That said, the Airport Express has Burr Brown DAC and has an output voltage at 2V. I have never understood what the Airport Express did. Is it a cheap little DAC? I see that it works wirelessly so you can stream from your phone or whatever else you have. But a computer through a DAC should sound better, shouldn't it? An Airport Express will take audio from either an iOS device or iTunes and play the content out its audio port. It has a Burr Brown DAC in it, not amazing, but decent. It can be wired or wireless in terms of transport. A direct computer -> USB -> DAC connection would be better. I could use a Mac Mini or similar for that. I have decided on the integrated with a pre-amp. I am getting a turntable as well so hopefully this will be quite the setup. One last question, are the two outputs on the pre-amp both active at all times? IE: Would I be able to run a sub from one out and the other to the SE34I.3? This would be my initial setup until I get some better full range speakers. Outputs are stereo with a single mono output jack for running sub-woofers or center speakers in a 3 speaker stereo array. 2 pair of stereo output jacks with relocated headphone jack. Awesome Ron! Let the waiting begin! Thanks Lon! I am so excited! If you're excited; just imagine how elated we are having helped inform, guide and influence you!